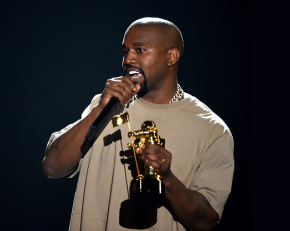 During the 10-minute long speech, which you can watch below, Ye, who admitted he was under the influence of marijuana, delivered plenty of quotables, addressing everything from infamously interrupting Swift at the 2009 edition of the awards show and the consequences to the importance of listening to the kids. He capped off his lengthy rant by claiming he is running for President of the United States in 2020. While we’ll have to wait for a cool 4 years before figuring out if West was serious, view the epic moment further below.